In many parts of the country, this summer has started off with very high temperatures. This extreme heat leads to several potential complications, with one of the most important ones being health concerns. 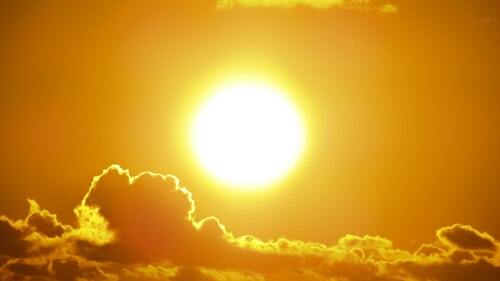 High temperature can lead to several heat-related illnesses including heat cramps, heat exhaustion, and heatstroke. These can all be very serious and – in the case of heatstroke – even potentially deadly. To make sure that you’re safe and healthy during a heat wave, here are some tips. Staying hydrated is important all year round, but it’s especially critical when you’re outside and exercising in hot weather. Before you head out, drink water and take a water bottle with you during your workout. Don’t wait until you feel thirsty to drink. Instead, focus on drinking water regularly throughout your workout and once you’re done exercising as well. Dressing for hot weather is very important. Wear light-coloured clothing that is breathable and lightweight and don’t forget to wear a hat. Not only will dressing for the weather keep you comfortable, but the right clothing will protect you from the sun and allow for air circulation, which will keep you cooler. You don’t need to force yourself to do the same workout during a heat wave that you do when the weather is more mild. In fact, this could be dangerous. Depending on the weather, you might want to consider doing a shorter or less intense workout. It’s also a good idea to shift your workout to the morning or evening, so that you avoid the hot midday sun. If the weather is especially hot or humid, consider moving your workout indoors. Understand the signs and symptoms of heat-related illnesses. If you experience muscle cramps, nausea, weakness, fatigue, dizziness, headaches, confusion, visual problems, or any other unexpected symptoms, stop exercising and get out of the heat. Ignoring these signs can cause your condition to worsen and potentially develop into a medical emergency. Cool down and get hydrated right away. If you don’t feel well during your workout, or if it feels like it’s too hot to be exercising outdoors, trust your instincts. It’s better to miss a workout or cut your workout short than it is to risk health issues. Take a rest when you need it so you can get back into the swing of things when the temperature cools down.